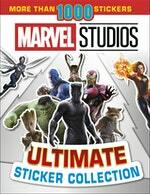 Using stunning film images from popular Marvel Studios movies, this exciting sticker book for children showcases the adventures of Marvel heroes the Avengers. Meet Earth's Mightiest Heroes-Captain America, Iron Man, Thor, Black Widow, and Spider-man-and their powerful enemies, including the Mad Titan Thanos and the mischievous Loki. Learn about the Super Heroes' incredible powers, their awesome vehicles, and their advanced technology. Discover Doctor Strange's magical mysteries, go on an amazing adventure with the Guardians of the Galaxy, and join Captain Marvel's fight against the sinister Skrulls. 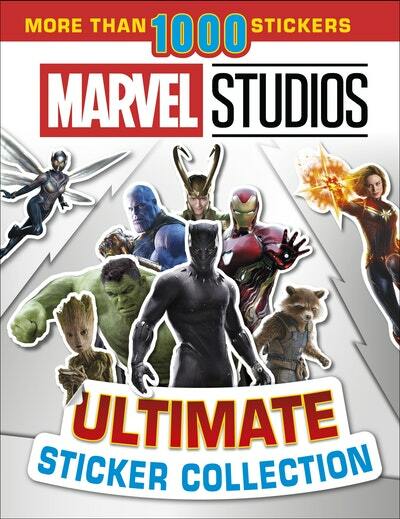 Marvel Studios Ultimate Sticker Collection features stickers of all the heroes, villains, locations, and vehicles from more than 10 years of Marvel Studios movies. Have fun finding the stickers for each page and create your own scenes, or re-create your favorite moments from the epic battles. Love Marvel Studios Ultimate Sticker Collection? Subscribe to Read More to find out about similar books.